ISNA reports that Sirjan Prosecutor Mehdi Bakhshi announced that “propaganda activities against the regime and insulting officials” as well as “posting pictures that do not observe hijab (Islamic attire)” will be subject to prosecution. 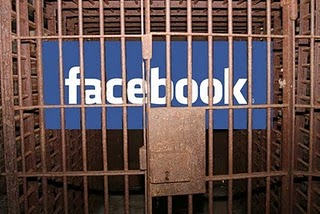 Facebook is one of the many sites that authorities block in Iran. While the Islamic Republic has announced its opposition to the site, some government supporters have been praised for propagating state views on the site. Messianic Islamist Rapists, “reformers’ and all are reform-proof, ideologically anti-human rights and warmongers. The only way to end this increasingly bizarre 34 year nightmare is regime change by Iranians, for Iranians and with logistical help from the sane world. Backbreaking airtight sanctions plus air/naval quarantine is a must.